They protected it with glass, but that didn’t stop the vandals from sending a message of their own. 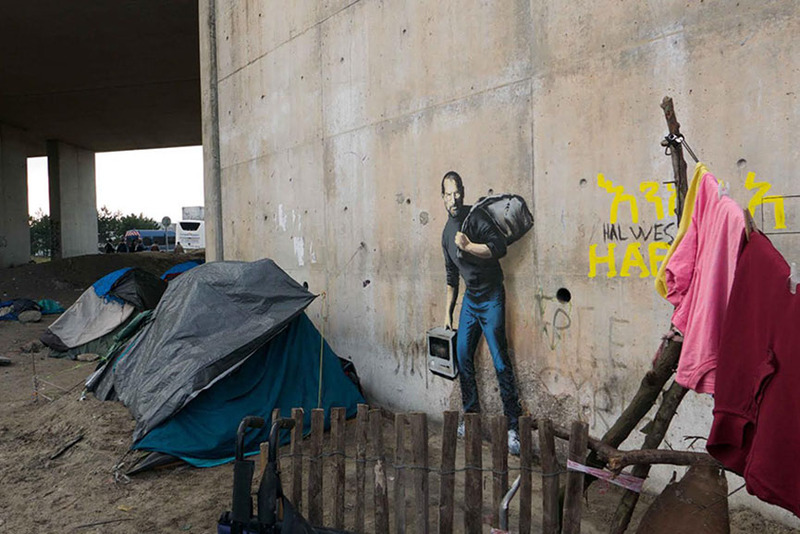 A mural of Steve Jobs painted by Banksy on a wall in Calais has been defaced, putting this refugee camp in focus once again after the world’s most famous street artist visited it in December. Even though local authorities hoped to preserve the work by putting protective panels, it was vandalised with a graffiti tag – two of them, in fact. 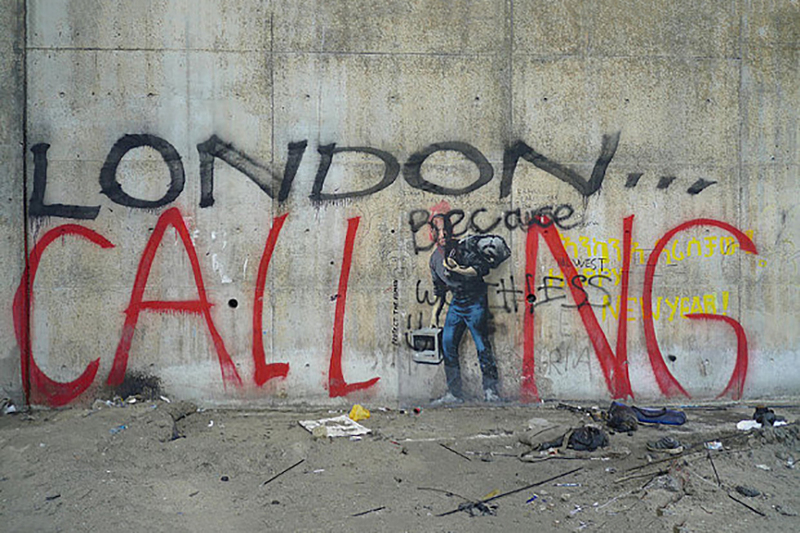 One states ”LONDON… CALLING” and uses Steve Jobs as an “i”, while the other says ”because it’s worthless”. Apparently, someone was not happy about the image of Apple founder in a migrant camp, or perhaps about the fact the mural was protected as a valuable work of art. 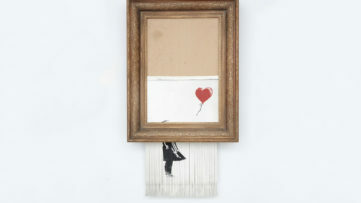 It seems that the word “saga” appears alongside Banksy’s name every time the artist does something lately. Shall we remind you of Dismaland and the frenzy that came with it? As soon as that madness was over, the street artist visited the Calais refugee camp, also known as “The Jungle”, in December, and there he painted about five stencil pieces to highlight the migrant crisis that has been shaking Europe since last year. One of those works includes Steve Jobs depicted as one of the migrants, wearing his trademark turtle-neck, holding a black sack of clothes in one hand and an early version of Apple computer in the other. 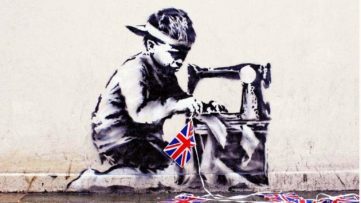 Banksy tried to communicate the fact that Jobs too was the son of a Syrian refugee. Since the creation of the mural, the migrants of Calais even charged five euros to anyone who wanted to see the work, while the city authorities worked to put Banksy’s works on the town’s official tourist trail. 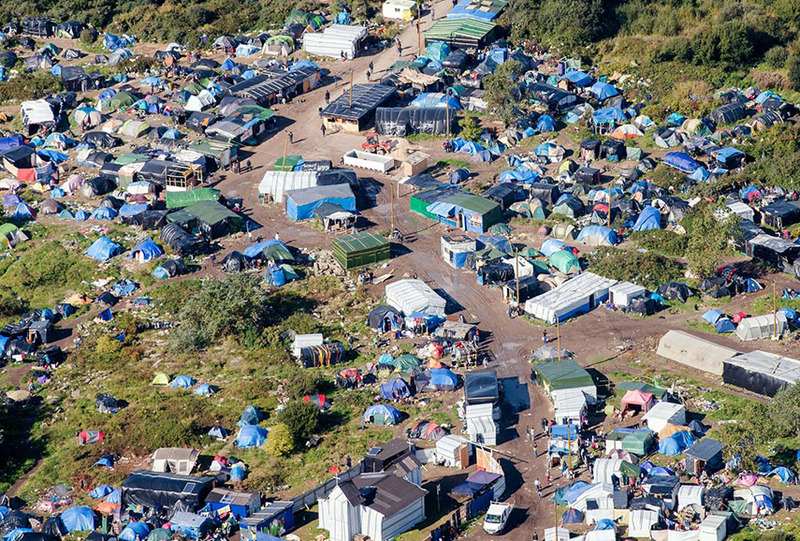 The refugee camp in the northern French port city of Calais houses thousands of migrants who are trying to make it to Great Britain on the back of a lorry on a daily basis. 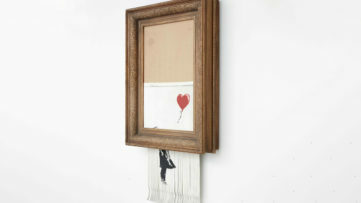 Banksy helped its community by sending over building leftover materials from his Dismaland bemusement park, before his painting visit. 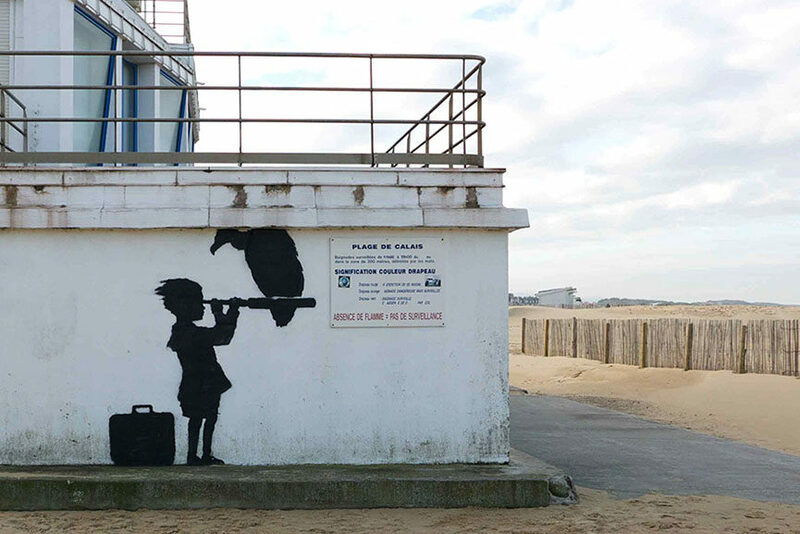 Besides the Steve Jobs mural, the artist painted a couple more pieces around town, including one by the Calais beach, which depicts a child looking towards Britain through a telescope, with a vulture standing on it. 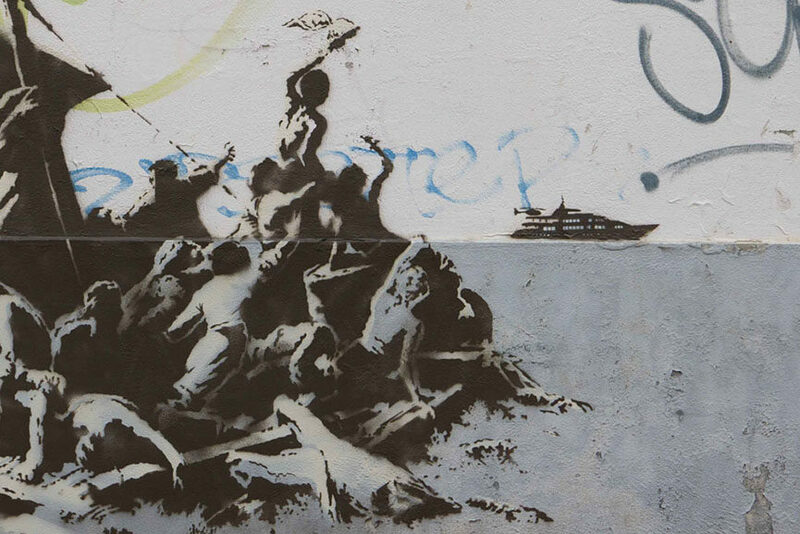 Another features a loose recreation of Gericault’s The Raft of Medusa and its shipwreck survivors who, in Banksy’s version, seek help from a rich yacht appearing in the distance. While the other works seem to still be intact, Steve Jobs wasn’t so lucky. 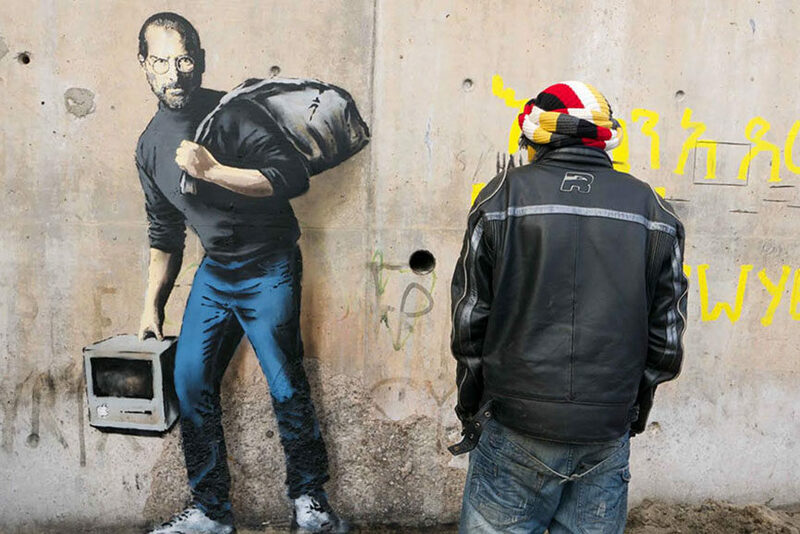 “We’re often led to believe migration is a drain on the country’s resources but Steve Jobs was the son of a Syrian migrant”, said the artist in a rare statement which accompanied his actions. We’re not sure what the message behind the writing is, but it surely doesn’t feel like a warm welcome. What do you think? Leave a comment on our Facebook page!